Dale Belnap, DDS and his team warmly welcome you to our family dental and orthodontic practice. At Colleyville Dentistry, we provide general preventive, restorative, and cosmetic dental care as well as a range or orthodontic treatments. Visit our practice and discover your options for improving your dental health and bringing out the best in your smile. Skill and compassion go hand in hand when providing exceptional patient care. As a dental professional, Dr. Belnap stays up to date on the latest advancements in dentistry in order to provide the most current treatment options for his patients. As a doctor, he recognizes that his patients are unique individuals who have placed a great deal of trust in him and his team. That is just one reason why Dr. Belnap values each and every patient relationship. We happily serve patients living in Colleyville, Bedford, Hurst, Euless, North Richland Hills, Grapevine, Southlake, Keller, and other local areas. At Colleyville Dentistry, our main priority is towards our patients. We ensure each patient’s dental health is optimal and performance is efficient. In addition to routine care every six months, we provide comprehensive solutions to a wide range of dental health concerns. As an extension of our services, we’ve expanded our hours on Mondays to 6:30 PM to accommodate patients who desire later appointments. We also provide 24-hour emergency dental services seven days a week for patients of records, taken upon a case by case basis. We always conduct treatments to the best interest of our patients. Our affordable dental care and financing options ensure patients receive necessary care when they need it. Dr. Belnap walks patients through their dental care plan, exploring their options together and developing a custom plan that fits well with their situation both financially and medically. He makes the effort to ensure procedures are gentle and patients are comfortable throughout their entire treatment. Dr. Belnap utilizes the latest dental methods and technology, conducting our procedures in a state-of-the-art facility to assure patients receive modern dental care. Digital X-rays and Intra oral cameras bring patients closer to understanding their dental health. Our team of healthcare professions work closely with patients during treatment and provide accommodations to improve comfort. We work to provide each patient with a positive experience with our dental care. We thank you for taking the time to explore the services we provide. Schedule your next dentist appointment with Dr. Dale Belnap by calling Colleyville Dentistry. We’re more than happy to help you with accomplish a long-lasting, beautiful smile. Our practice accepts most in-network PPO as well as patients out of our network or with no insurance, and offer financing through CareCredit. 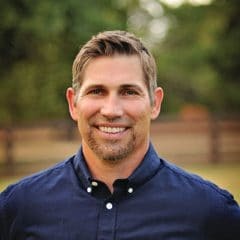 Colleyville, Texas Dentist, Dr. Dale Belnap is dedicated to family dentistry such as Exams, Teeth Whitening, Veneers and more.